Yo, great piece of writing Werner. 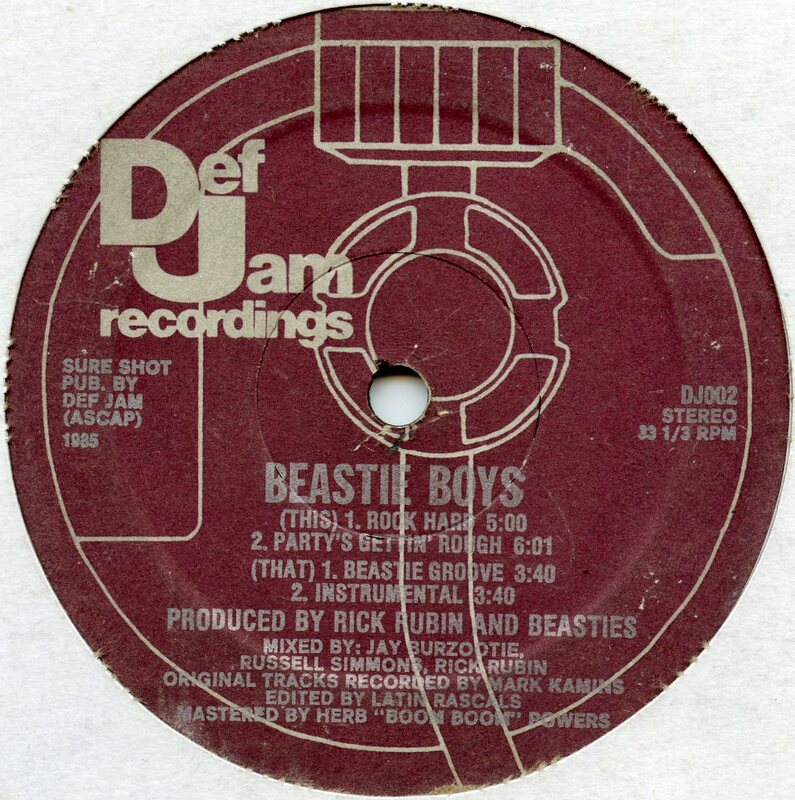 Love this write up as it brings back great memories...Like many others I guess, The Beastie Boys were the group that were responsible for getting me into hip-hop in the first place...a lot to answer for! Licensed To Ill was the album to kick things off for me in 1987 (first put onto a tape for me by a mate until I eventually got my own copy and played to the tape was worn out) and will always be a precious hip-hop gem because of that. I mean Brass Monkey, Hold It Now Hit It, Slow Ride, crafty, Paul Revere, Brooklyn, Slow & Low, The New Style etc, every track was a winner. You knew them off by heart. Then I heard Rock Hard on my first LP purchase - it's the opening track on a Def Jam compilation called Kick It! The Def Jam Sampler Vol.1. And it's a solid banging opener and a great track to start it off. It's stuck with me to this day and always takes me back to my first hip-hop vinyl. Like you, when I heard Rock Hard I wondered why it wasn't on Licensed To Ill? Did puzzle me a bit. Thought it would fit on there. But it does make Kick It! a much more unique and worthwhile cos of it's appearance. Actually, Kick It! is a fantastic dope album and made for an excellent introduction to the art form in Autumn '87. It contains some of the finest early Def Jam productions like Jazzy Jay 'Def Jam', Original Concept 'Can You Feel It?' & 'Pump That Bass', LL Cool J 'I'm Bad' - that made a big impression! as did Public Enemy's 'You're Gonna Get Yours'. A 98 Oldsmobile? Wow! Exotic or what? Never ever heard of that over here! I was way too young but I thought that would be a cool car to own! Sounded like THE car to have...But one track stuck out as rather different but equally fresh...it's by The Junkyard Band and it's called 'The Word / Sardines' and I love it still to this day. It's hip-hop with a Go-Go flavour to it and it totally and completely works to the max. Dope? Oh yes, indeed. Don't really know much about them or what else they did...perhaps their only Def Jam release? Time to do some digging on the JYB front! I think from what I can gather this 'The Word / Sardines' 12" is pretty hard to get in decent condition and it goes for some good money too. Also, will now have to find a copy of the 'Rock Hard' 12" after reading this. Great post yet again, Werner! Thanks for shining a light on these lost gems, it's a pleasure to read. RIP MCA.